Hummus (also spelled houmous in the UK)is an ancient Middle Eastern food, popular throughout the Middle East and Mediterranean. In fact, it’s very common throughout the world now, but I remember, as a teenager in the 70’s, that hummus was an unusual, foreign and exotic treat, that had to be homemade and didn’t come from supermarkets. 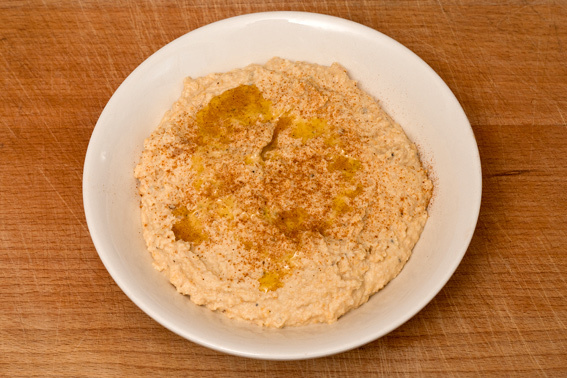 Hummus is extremely good for you, being comprised of chickpeas, garlic, tahini, olive oil and salt. It’s high in vitamin C, B6, iron, and dietary fibre. Normally it’s served with flat bread, like pita and is often served as part of a meze. I recommend using a pressure cooker for cooking pulses, they taste better cooked from dry (as opposed to tinned) and the pressure cooker cuts down the cooking time tremendously. 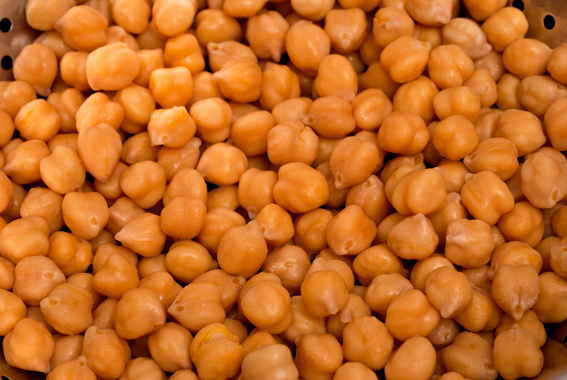 Soak the chickpeas in boiling water for one hour. Discard the soaking liquid and boil the chickpeas in water, in a pressure cooker for about 35 minutes (or according to the handbook). 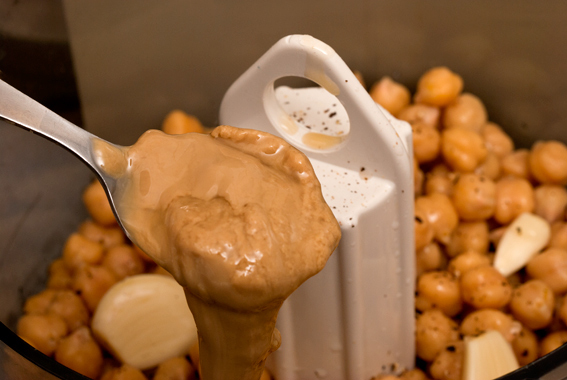 When done, allow the chickpeas to cool naturally and reserve the cooking liquid. In the meantime, squeeze two lemons and peel 4 pieces of garlic (no need to crush). When the chickpeas have cooled, place them in a food processor (you could crush all this together by hand, in the traditional manner, but this is the kind of recipe where food processors really come into their own) with the garlic, olive oil, tahini, lemon juice, a little salt, pepper, cayenne and a quarter of a pint of cooking liquid. Don’t overdo the seasoning, you can always add more, but you can’t take any out! I’ve looked at lots of recipes for hummus and most call for quite a lot of tahini. Tahini is a little bitter and has the texture of peanut butter – used sparingly it’s delicious, but be careful not to overdo it. 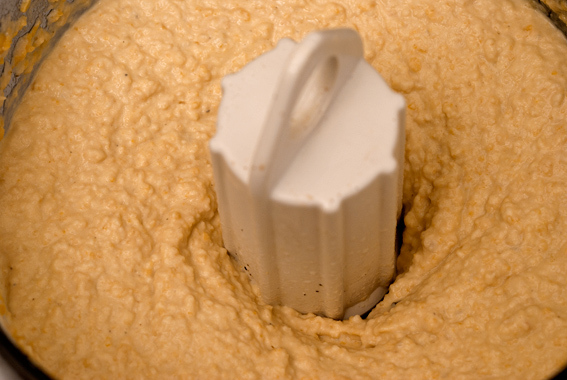 Process your hummus on a medium food processor setting for a few minutes until it goes smooth (see my picture). Have a good taste – now’s the time to add a bit more salt or cayenne if needed. This bit really is up to your taste buds. Serve hummus in a bowl with a drizzle of olive oil and a sprinkle of cayenne. You could even add a little chopped parsley or harissa. Hummus goes really well with pita bread, falafel and raw vegetables, it also makes a fantastic spread with chicken and salad in a sandwich. If you make too much, hummus will keep for several days in the fridge. Home made hummus costs a fraction of the supermarket price and is far better for you, as it contains no preservatives, colouring or flavour enhancers! This entry was posted in Recipes and tagged cayenne, chickpeas, falafel, garlic, hummus, meze, pita, tahini. Bookmark the permalink.